Thursday, which means it’s almost the weekend! Todays weather report; cloudy with a chance of rain. At least it’s a whoping 4C outside, yes I said 4C. That’s the first time in a long time that it’s actually been above zero. I can just about feel the spring weather in the air. You can also hear the birds singing first thing in the morning which is always a real sign that winter is leaving us. I spoke too soon, it snowed some more this afternoon aarrgghh! I set myself a challenge, it’s a 30 day no alcohol challenge. Some might think that’s an easy thing but believe me I love my ciders! We spend a fair amount of time socializing with friends which usually means dinner out with a couple drinks. It’s day 4 and I’m holding out just fine, although it’s not the weekend yet. On to tonight’s recipe. 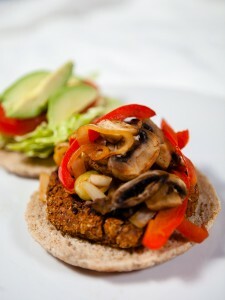 Once in a while you just have to have a burger, a vegan burger that is. 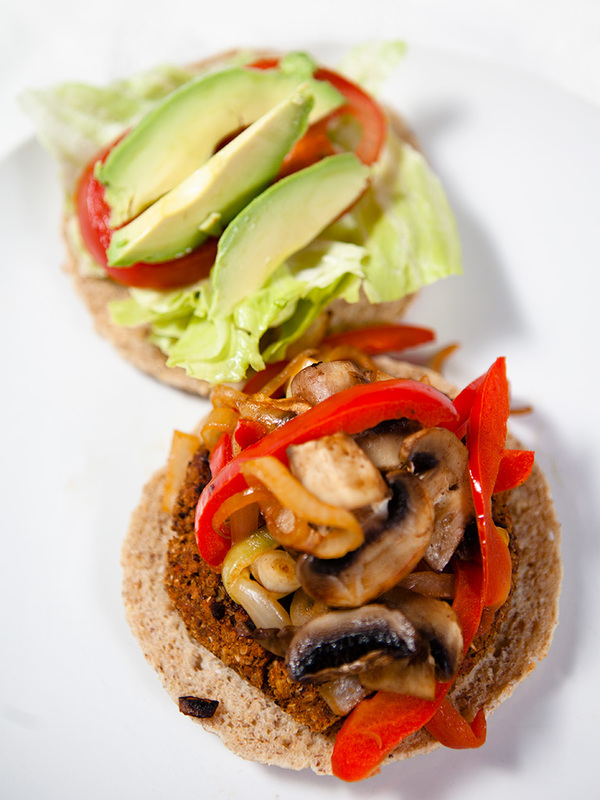 This is a black bean veggie burger, topped with mushrooms, onions, red peppers and avocado. 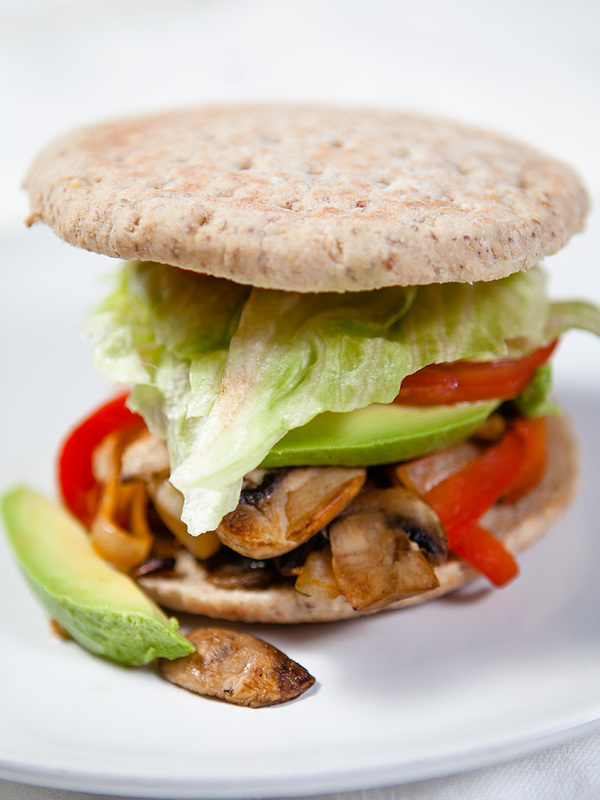 The best thing about a burger is that you get to make it yours with your favorite toppings. Heat 1 tablespoon olive oil in a pan over medium heat. Fry the onion, celery, carrots and garlic until softened, about 10 minutes. Transfer to a food processor and pulse with beans, mustard, Worcestershire sauce, paprika and chilli until combined but still chunky. Pulse in the oatmeal and quinoa. Fry in frying pan for 10 minutes or until brown and heated through or bake in oven at 350f for 20 minutes turning after 10 minutes.